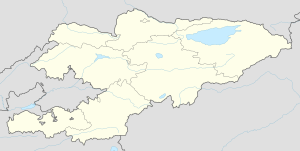 ↑ Catholic Church in Kyrgyzstan. Catholic-kyrgyzstan.org. Retrieved 11 March 2012. ↑ Residential Real Estate Market in Bishkek, Kyrgyzstan: Current Conditions and Prospects Archived 21 March 2009 at the वेब्याक मेसिन.